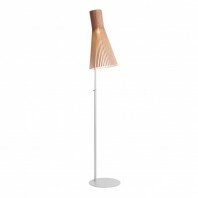 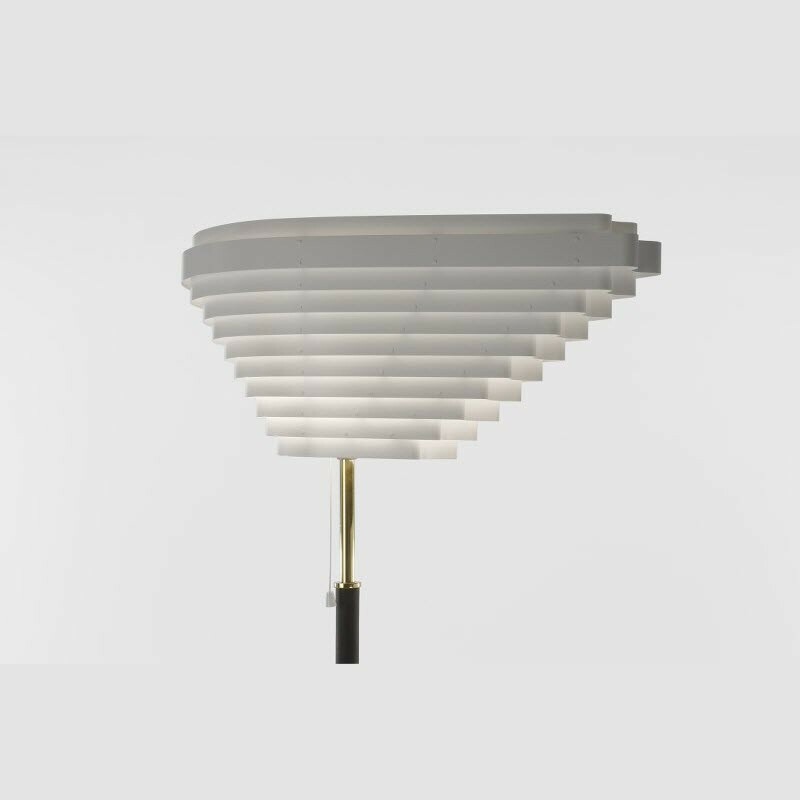 Known for his unique and elegant designs, the founder of Artek, Avar Aalto once more pleases our senses with his unique design of the Artek Angel Wing Floor Light. 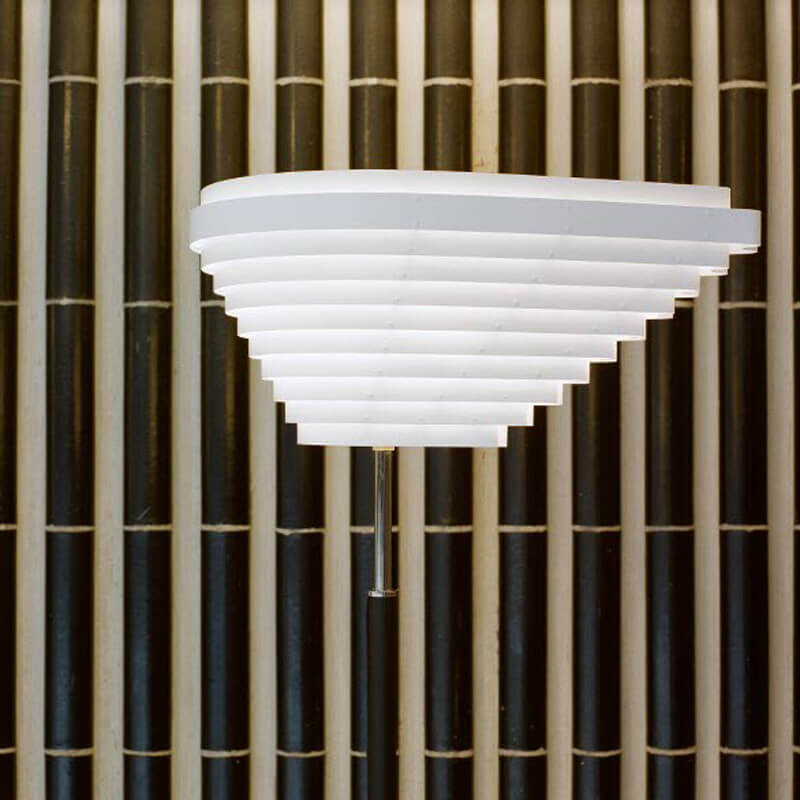 Designed in 1954 for the famous National Pensions Building in Helsinki, Finland, the Angel Wing Floor Light has captured the interest of many. 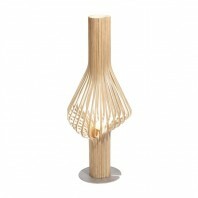 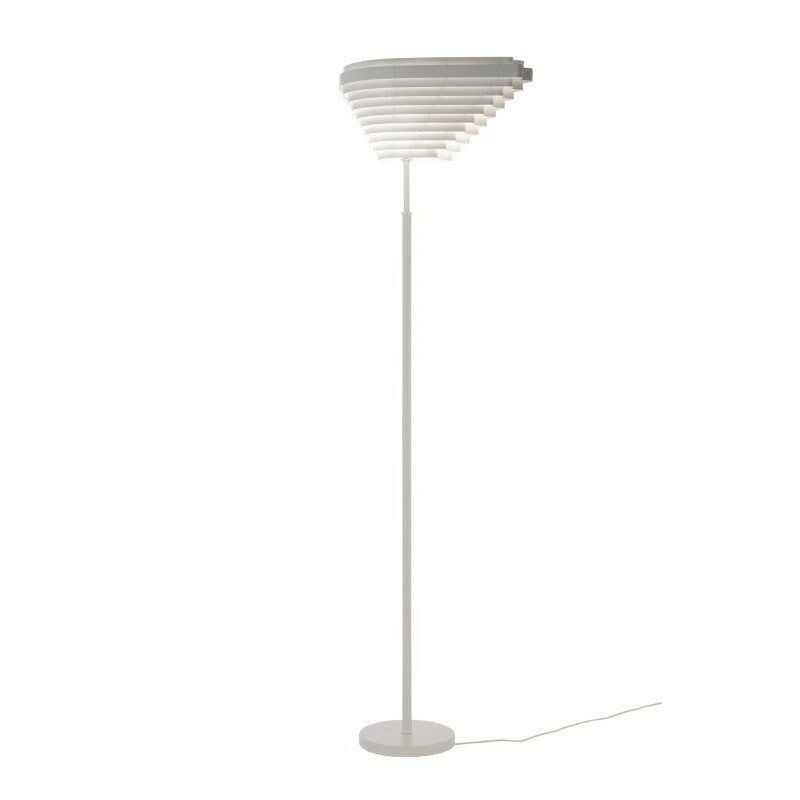 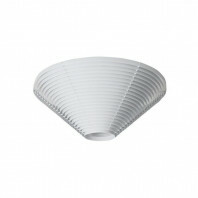 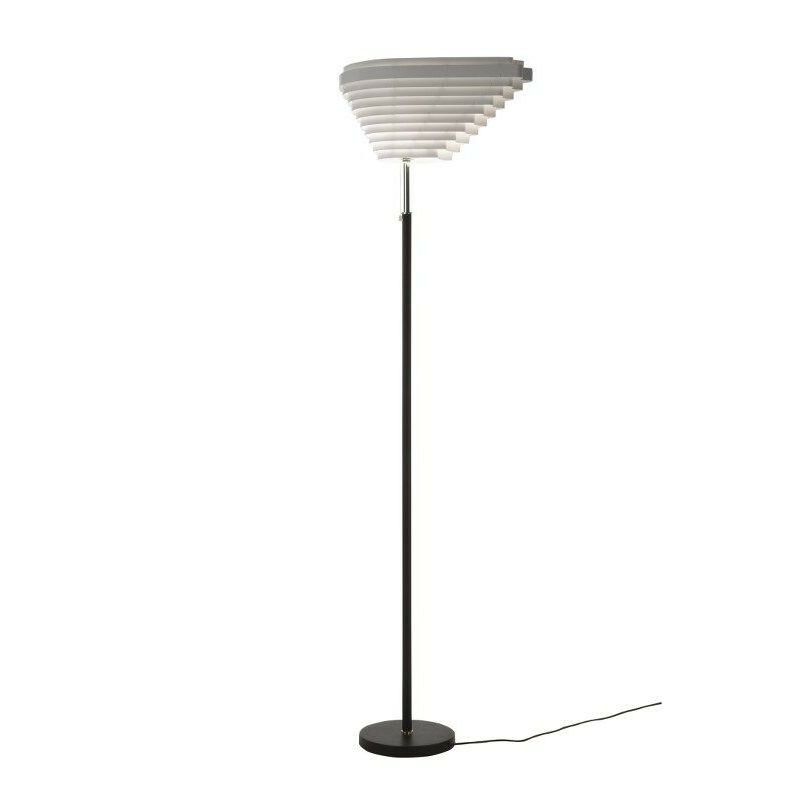 True to his designs, Aalto created the Angel Wing Floor Light with his signature organic recessed rings. 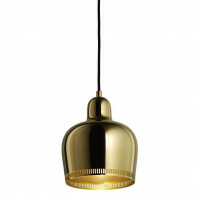 The delicate lacquered metal strips play with direct and indirect light. 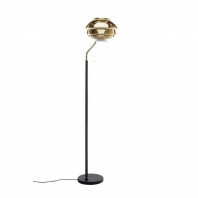 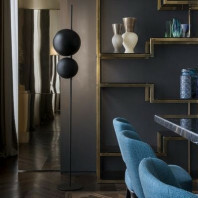 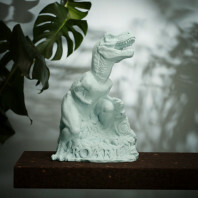 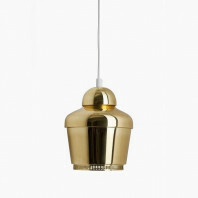 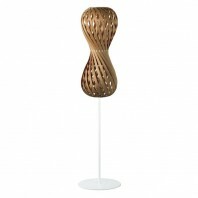 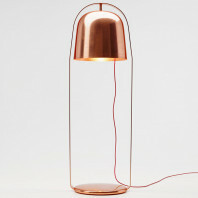 The lamp emanates soft glows, giving any space a warm, welcoming feel. 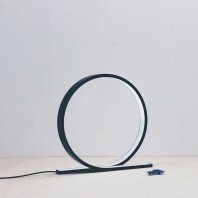 The shade of the lamp evolves from smaller rings at the bottom, to bigger rings reaching the top. 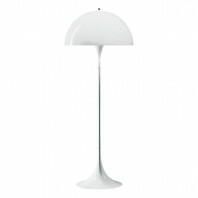 The asymmetrical shape (almost like a skewed v) resembles a “modern angel wing,” hence its name. 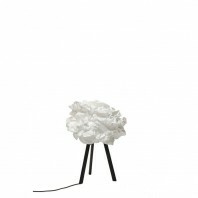 The stand is covered in black leather, and is hand sewn. 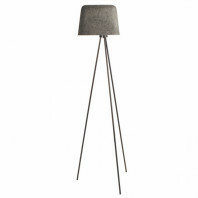 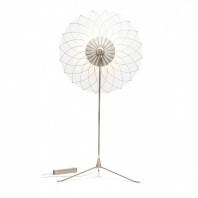 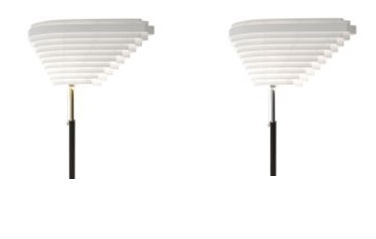 The Angel Wing Floor Light comes in two styles. 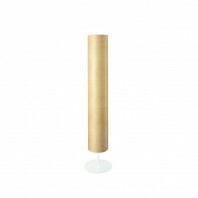 One features a polished brass tube, while the other features a nickel-plated brass tube. 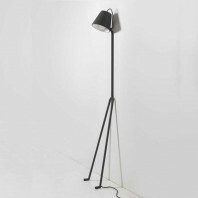 It is 174 cm. 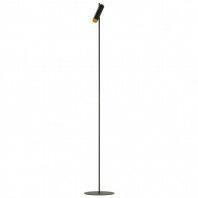 (5.71 ft.) in height. 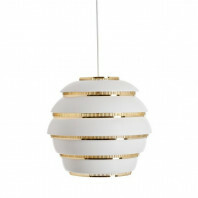 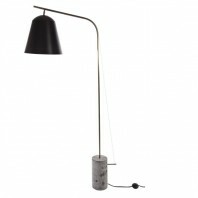 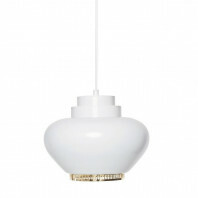 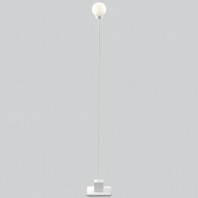 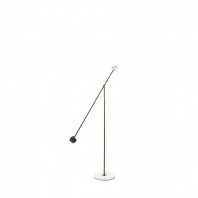 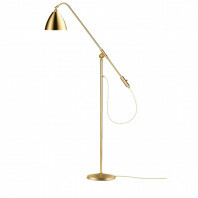 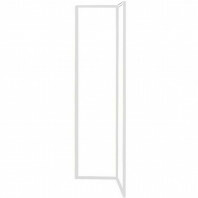 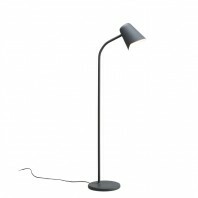 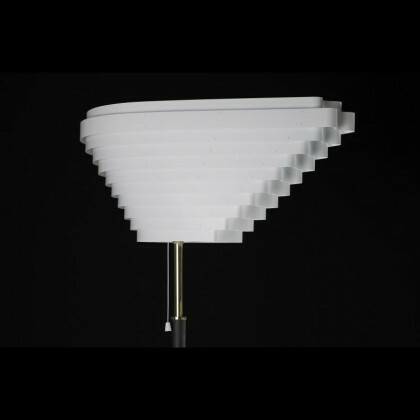 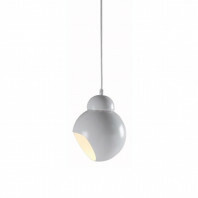 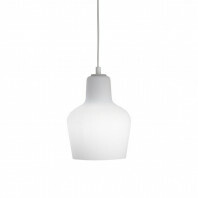 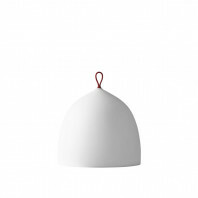 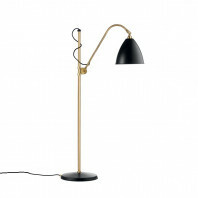 The lamp includes a light fixture plug and a white plastic cable 2.5 m (8.2 ft.) in length. It is compatible with lightbulbs:A++, A+, A, B, C, D, E.
Aalto designed theAngel Wing Floor Light staying true to his love for organic shapes and playful light. 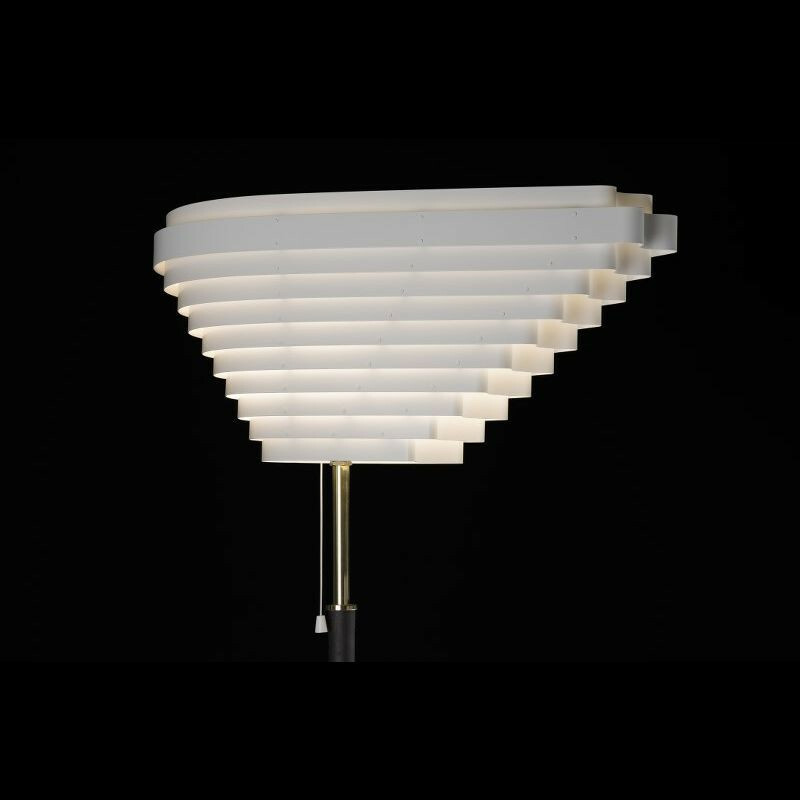 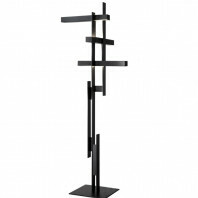 This lamp is sure to give any space the signature chic and modern look that Aalto’s designs are famous for, it is sure to make any space more interesting.